Creative photographer Danny Lyons started Canopy Climbers to share the love and adventure of climbing trees. Danny's mission is to help people connect with trees, forests, family, friends, and themselves. Danny is a TCI-trained tree-climbing Instructor and an expert in advance climbing techniques. 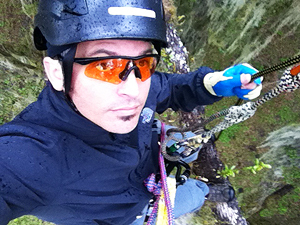 He teaches the Beginning Tree Climbing Course (BTCC) in Gainesville, Florida and occasionally in Atlanta, working with Tree Climbers International (TCI). Danny has trained with Master Instructor Tim "Tengu" Kovar, founder of Tree Climbing Planet, and has trained extensively with Master Instructor Peter "Treeman" Jenkins, founder of Tree Climbers International. Jenkins, who is widely considered the father of recreational tree climbing, established TCI in 1983 as the first tree-climbing school in the world. 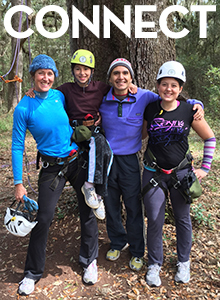 Because of the passion and dedication of Peter and Patty Jenkins, TCI continues to grow the tree-climbing community by instructing and inspiring tree climbers from all over the world. 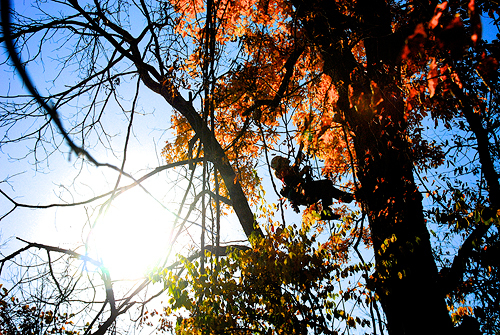 Our sustainable tree-climbing system is safe for people and safe for trees, because we always use "Cambium Savers." Also known as "Friction Savers" or "Branch Savers," these durable sleeves help protect the branches of trees. The Cambium Saver completely surrounds the rope at the anchor point, preventing the weighted part of the rope from making direct contact to the surface of the tree. 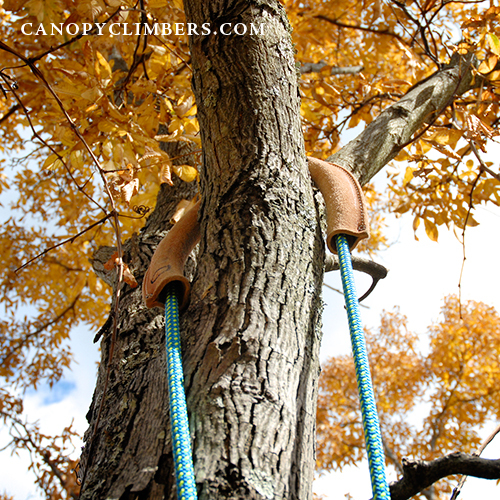 Without Cambium Savers, the friction of the weighted climbing rope would likely abrade and eventually cut into the bark of the tree, and we never want to impact or damage our beloved climbing trees. These clever devices also reduce rope-friction, wear and tear on the climbing rope, and generally make it easier for the tree climber to ascend.